The “T84-55” circuit replacement kit from MicParts gives the M-Audio Luna and Luna II a true vintage JFET/transformer circuit (based on the Neumann KM84). 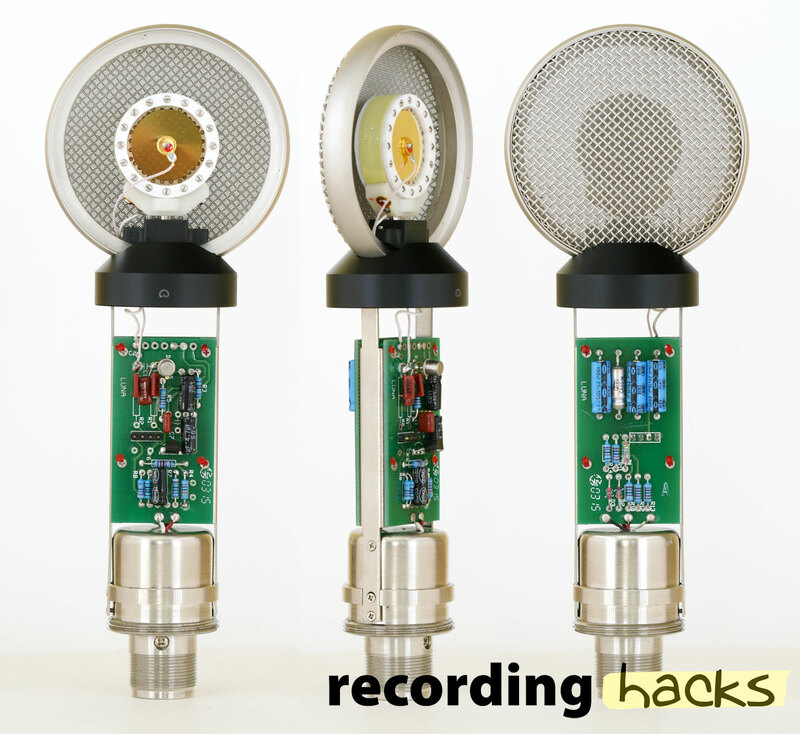 This DIY audio kit uses a vintage JFET, custom-wound (US made) output transformer, and audiophile grade capacitors. 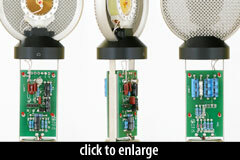 The Luna was a large-diaphragm FET condenser with a transformer-coupled output. It was replaced in the M-Audio product line in 2008 by the Luna II, which added a switchable pad and high-pass filter. In sonic terms it sits just on the flattering side of neutral. It suits most vocal types and delivers a well-balanced combination of warmth and clarity, with minimal noise and more than enough sensitivity for all normal studio applications. The Luna shipped with a shockmount (p/n SM-4) and an aluminum flightcase.